The San Jose Blog: Discover San Jose Store in Downtown San Jose! Discover San Jose Store in Downtown San Jose! Discover San Jose is a retail shop Downtown where everything they sell is made locally. You can find gifts by local artists, books by local authors, local college and sports team memorabilia, and foods made using local ingredients. They just made their first 30 second commercial spot which will air on the Travel Channel in 5,000 local hotel rooms. You can watch the video below. 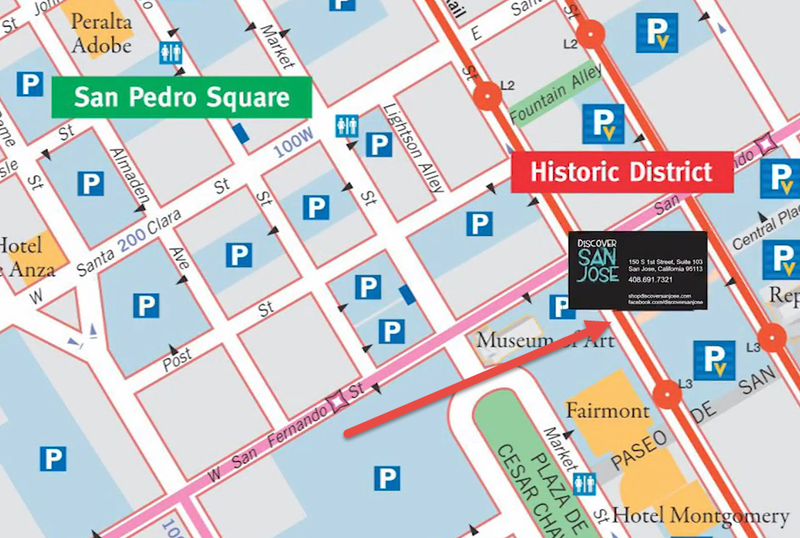 Discover San Jose is located at 150 S. 1st Street, Suite 103, which is right behind the Fairmont Hotel. For more information on this great store supporting our local community, check out their Facebook Page over here!